Premiering in 1978, Ira Levin’s comic thriller Deathtrap was an immediate hit and has been around the community and regional theatre block many times since. As stated in its own dialogue, it’s such a surefire script that “even a director can’t hurt it,” and is still a winner with audiences for its disarming wit and devious plot twists. 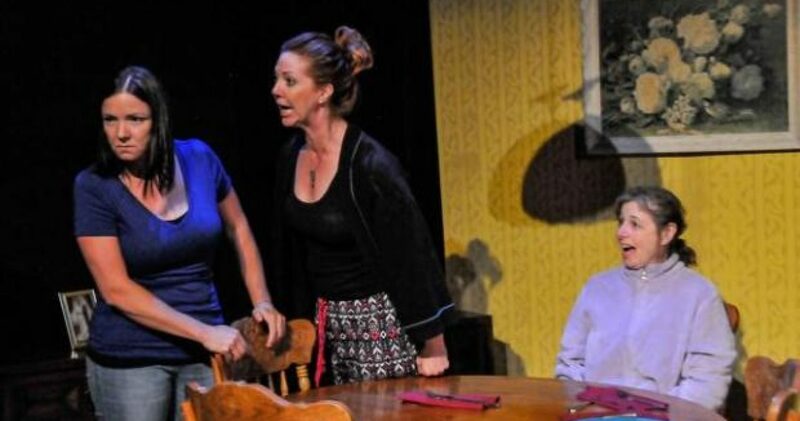 Ross Valley Players is mounting a thoroughly entertaining version, one that will charm you with laughs and thrills even if you’ve seen the play before. Director Chloe Bronzan has opted to set the play back in time to the 1960s, paying homage to Hitchcock’s indelible influence on the genre of thrillers—a smart concept, since his works are referenced in Levin’s script, held up as masters to model for the two main characters who are attempting to write their own hit plays. Acclaimed but fading playwright Sidney (Gregory Crane) and Clifford (Bryce Smith) apparently met in a workshop Sidney ran for aspiring writers, leading to Clifford mailing a draft of his latest work to Sidney for feedback. But Sidney rails over the script, titled “Deathtrap,” as it’s so brilliant he’s instantly jealous and depressed at the thought of its imminent success. . . .